Breeding Exotics is an Art Form... a Creative Endeavor of Love and Passion! Hello and Welcome to our website! My name is Karin Broeders and my cattery name is Jerba Nicol. 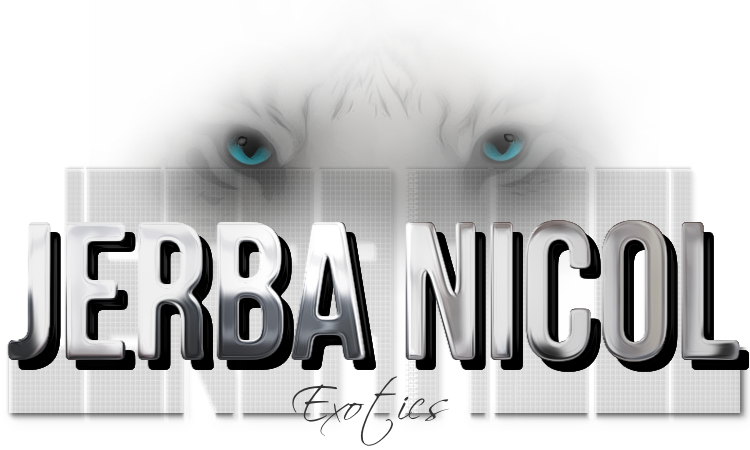 Jerba Nicol is a registered cattery since 1986. We are breeding & showing Exotics for over 32 years. We specialize in bi-colors, but occasionally have tabbies, whites and solid colors. Our cattery is small, and breeding is a hobby for us, so we only breed a few litters a year. On this website, you can find information about our cats and some of the kittens we've had the pleasure to care for. We breed for health, beauty and personality! Our cats and kittens come from the best Grand Champion, Breed Winner, Regional Winner, National winner and Distiguished Merit Persian and Exotic lines! Our cats and kittens are registered and shown exclusively in CFA and meet the standard for their breed! Please read more about us here.